With his stylish demeanour, actor and model Dinesh Mohan carries his trademark torn jeans as well as he does his handlebar moustache. 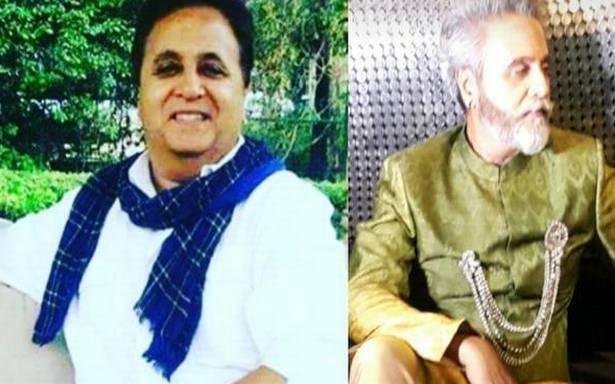 The 60-year-old ‘silver fox’ — as his Instagram account descriptor says — has been part of photshoots, ramp walks, and will soon be seen in a Malayalam film Rosario Family Since 1973 and Salman Khan’s Bharat. Behind the now-chiselled photographs, lies an incredible story of the will to fight his eating disorder, and the resulting weight gain. On call from his home in Gurugram, Dinesh narrates how five years ago, ill and bedridden at 130 kilograms, and fed up of being in a “rotten state”, he decided to change his life. Dinesh’s paradise was in the plate. “I loved my parathas with dollops of desi ghee. I would often snack on vegetable pakodas and samosas between meals and a chilled lassi or milkshake to go with it. I was fond of cakes, pastry, and apple strudel was my favourite. I could eat two pieces in one go,” he recalls. Four years of working out and healthy eating showed results when his weight came down to 71 kilograms, but then he became too frail for his height (six foot, one inch). With weight training, he gained back his muscle weight, and today, at 81 kilograms, he is an inspiring example of what one can achieve with determination. His one-hour gym routine includes 40 minutes of cardio and 20 minutes of weight training. “I do 50 push-ups every day and work on the dumbbell rods. I skip, dance or jump and, if in the mood, I run. My workout routine is as erratic as my life has been, but I never miss it.” He feels stronger mentally and doesn’t get pulled back because of his past. His modelling career took off with his first shoot on his birthday in 2016. In these three years, he has walked ramps, done shoots for commercials and Punjbai videos. When he turned 60 on January 16, he was in Kochi, shooting for a tea brand and the team celebrated his birthday on the sets.